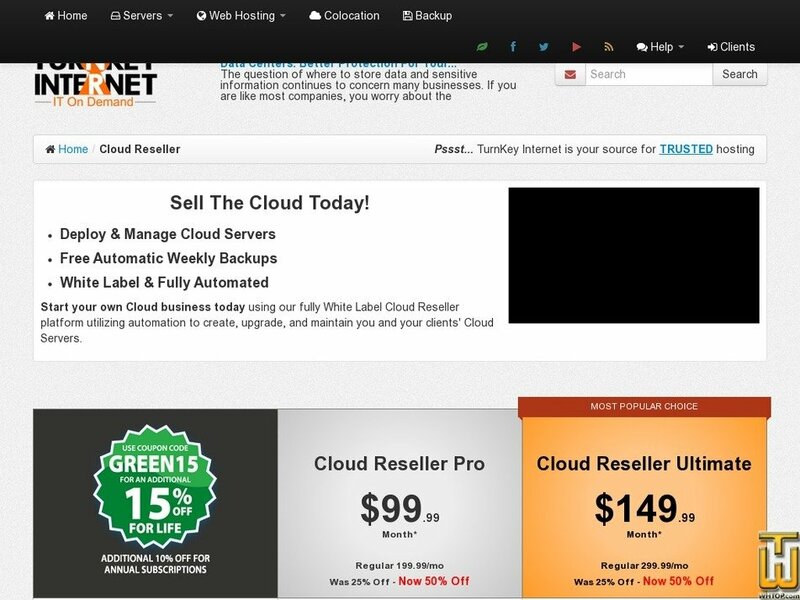 See also original Cloud Reseller Ultimate plan location on their website! Start your own Cloud business in minutes. Our Cloud Reseller program is ideal for people who want to rapidly start making money in the industry's fastest growing sector, the Cloud. Order what you need and upgrade as you go. We handle the infrastructure so you can focus on building your client base and generating revenue. It's as easy as that. Cloud Reseller Ultimate may be hosted on all-new Tetra-Deca (14-core) Intel E5-2660 v4 CPU's but are guaranteed to be hosted on a minimum of the all-new Octa-Core Intel CPU Technology E5-2660 platform running at 2.2 GHz. Cloud Reseller Pro may be hosted on the all-new Octa-Core platform but are guaranteed to be hosted on a minimum of Hexa-Core Intel CPU Technology running at 2.0 GHz and above. Ultimate Plan (**) total CPU cores based on 6 CPU Cores Distributed Across each Virtual Machine Professional Plan (*) total CPU cores based on 4 CPU Cores Distributed Across each Virtual Machine.